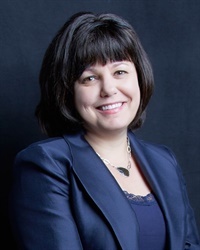 Janie Perelman is Vice President and Assistant General Counsel at Michaels Stores, Inc. In this role, Janie heads the labor & employment law and litigation areas. Prior to Michaels, Janie was the Vice President of Human Resources and Employment Law at CEC Entertainment, Inc. (Chuck E. Cheese’s); Senior Vice President, Deputy General Counsel and Assistant Secretary for Guaranty Financial Group Inc./Guaranty Bank; Associate General Counsel for Zale Corporation; and Associate General Counsel and VP Human Resources for Kitty Hawk, Inc. Before going in-house, Janie was in private practice in Houston where a large amount of her docket concentrated on Plaintiff’s employment law work. Janie graduated from the University of Texas, where she was Vice President of the Students Association, with a journalism degree and received her Doctorate of Jurisprudence from the University of Houston. Janie is Board Certified in Labor and Employment law and has been recognized as a Super Lawyer by Texas Monthly magazine. Janie also received recognition as Outstanding Assistant General Counsel- First Chair awards (national), the winner for the 2015 DCEO and ACC 2015 Corporate Counsel award for Outstanding Deputy or Associate General Counsel- Small Legal Dept in the DFW area and was a finalist for Outstanding AGC by the Texas General Counsel Forum-2013 and for the ACC/Texas Law Book Corporate Counsel Awards 2018. She is a former President of the Association of Corporate Counsel-DFW, a frequent speaker at Labor and Employment Law seminars and was previously a host on Job Talk, a Houston radio show. Janie served on the State Bar Committee on Providing Legal Services to the Poor and served on the steering committee for the Texas Minority Counsel Program 2012. Janie is active in a variety of legal and community organizations including the Junior League of Dallas as a sustainer and a member of the JLD HR Advisory Committee. Janie has served on numerous non-profit boards and is currently on the board of directors for the Texas Neurofibromatosis Foundation. Also, Janie and her husband work with numerous animal rescue groups and are avid animal lovers.